There are few better ways to get into a festive mood than singing carols around the Christmas tree or in one of London's famous churches and cathedrals. To make sure you know when and where to go this Yule, read our feature on all the best carol singing, Christmas services and festive concerts in the capital - including the popular Midnight Masses at St Paul's and Westminster. Try St-Martins-in-the-Fields for a Christmas helping of carols, candles and community spirit. St Martin-in-the-Fields is a perfect venue for any kind of service or concert - especially when candlelit and on a cold winter's night - but it is really quite extraordinary during the festive period when it comes into its own with a generous dollop of Christmas carols and services. Located almost in the shadow of the towering Trafalgar Square Christmas Tree, St Martin-in-the-Fields offers a seasonal glow throughout December. The line-up this year includes the Carols for Shelter, BBC Radio 4 Christmas Appeal, Carols by Candlelight and the Parish Carol Service on Christmas Eve. The church also gets involved in the Blessing of the Crib in Trafalgar Square - a dramatisation of the Christmas nativity with carols, music, prayer and a live donkey. The iconic cathedral hosts an extensive series of concerts throughout December. Few places are better for traditional Christmas services and carols than St Paul's, the spiritual home of Great Britain. St Christopher Wren's great dome, which dominates much of the City, fills with the sound of the Cathedral Choir for a large part of the month. Kicking off with the dramatic Advent Procession on 1st and 2nd December, these special services and concerts are free and available to all. The cathedral also hosts charity concerts for Age UK, Alzheimer's Society and the British Red Cross. The season peaks with the Christmas Carol Service on 23rd and 24th December and the excessively popular Midnight Eucharist on Christmas Eve. Head to one of London's most famous landmarks for a traditional Christmas service. Pack inside one of London's most famous landmarks for an old-fashioned service to take you right through to Christmas Day. 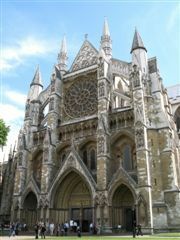 Westminster Abbey has been at the centre of royal and religious life in Britain since the time of William the Conqueror, who was crowned here on Christmas Day 1066 following the successful Norman invasion of the British Isles. More recently, it was where Prince William and Catherine Middleton chose to get married. It's easy to lose sight of what Christmas is all about in the sea of commercialisation, but sitting in the majestic history of the Abbey's nave will help remind you of the religious message. These awe-inspiring surroundings provide a striking backdrop for an evening of lessons and carols. Most events do not need to be booked and are free to attend but for the popular services on 23rd and 24th December you will need to book free tickets in advance. An afternoon of feasting and singing in the hotel's Grand Banking Hall. On the first three Sundays in December, The Ned hosts an evening of carols with Gareth Malone. Guests will be greeted by welcome drinks before enjoying either a three-course dinner in Millie's Lounge or Cecconi's or drinks and bites in The Nickel Bar. The giant Christmas tree, festive blooms and songs by the choir will make sure you're in the Christmas spirit. They'll take requests for your favourite traditional carols and mix it up with acapella renditions of Christmas party hits. After dinner, the hall will come to life with a choral line-up performing from The Nickel Stage. An evening of carols hosted by David and Jonathan Dimbleby. 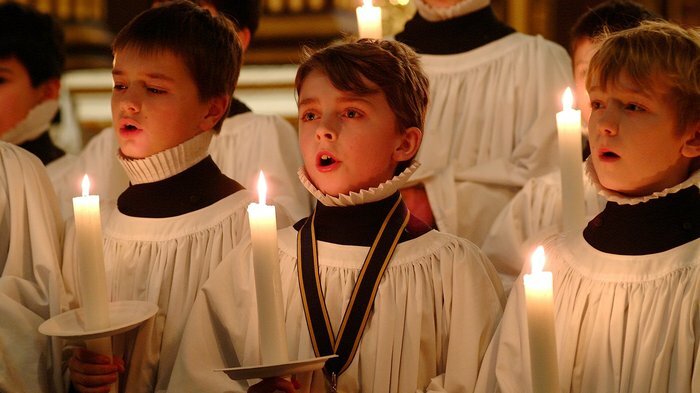 Join hosts David and Jonathan Dimbleby for an evening of Carols by Candlelight with special performances from the Junior Choir of Farringtons School. An annual event, this year marks 52 years of Dimbleby Cancer Care, which was set up in 1966 in memory of broadcaster Richard Dimbleby. Money raised goes towards providing practical and psychological support to people living with cancer and to their families and carers. Following the service there will be wine and mince pies and the chance to take part in a festive raffle. Myleene Klass and Brian Blessed are among the stars of the stage and screen coming together. Myleene Klass presents a carol concert in aid of the Children & the Arts Carol Concert, taking place at Holy Trinity Church in Sloane Square. Raising funds for the charity's work in bringing the arts to disadvantaged children throughout the UK, the concert will bring together stars of the stage and screen to perform in an event that will be broadcast by Classic FM as part of its Christmas programming. Actors Brian Blessed, Jeremy Irons, Sheila Atim and Dame Patricia Routledge will be among the famous faces doing festive readings. Emilia Fox and Kate Adie join BBC Gospel Choir of the Year finalists, Get Gospel. Join Hope and Homes for Children at St Mary Abbots Church, Kensington, for a special evening of music and merriment, followed by wine and festive nibbles. This enchanting celebration of Christmas features a variety of professional performances and some popular choral classics. This year's performers include the BBC Gospel Choir of the Year finalists, Get Gospel, the award-winning soprano, Katie Marshall and the children of the Devonshire House Preparatory School Choir. Also in attendance are some of the charity's celebrity supporters, including host for the evening Julian Rhind-Tutt, actress Emilia Fox and journalist Kate Adie. The evening is in aid of Hope and Homes for Children, the international children's charity working to create a world in which children no longer suffer institutional care. For a truly memorable Christmas experience it has to be carols in Trafalgar Square. Catch a festive service at historic Southwark, located in the heart of Borough Market. Southwark Cathedral has a number of festive services open to the public throughout December including a rather special concert on 11th December for Feed the Minds, raising money for the charity which helps transform lives through education projects. Everyone's invited to the free Mayor of London's Christmas Carol Service on Monday 17th December from 7pm to 8pm. The Cathedral Choir Concerts on Friday 21st and Sunday 23rd December offer traditional lessons and carols, no tickets required, and the bulk of the singing is done by the boys, girls and men of the Cathedral Choir. The congregation gets a chance to join in and sing some of their favourites while the festive music is interspersed with readings taken from the Bible around of the birth of Jesus. On Christmas Eve children help to build the crib at a family service, it's followed by Midnight Mass before a 9am service with carols on Christmas Day itself. Cerys Matthews is just one of the celebrities at the annual Christmas Carol Concert. London's principal Roman Catholic Church is running its annual Christmas Celebration concert on the Wednesday and Thursday before Christmas. 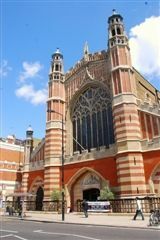 Performed by the Westminster Cathedral Choir and Orchestra, the event also includes some festive readings (0844 844 0444). Earlier, on Thursday 13th December, the Cathedral will play host to the annual Christmas Carol Concert event when choral music is accompanied readings from famous faces including Made in Chelsea star Ollie Locke, musician Cerys Matthews, and TV presenter Lloyd Griffith. An after party with mulled wine and live music in Victoria's new mountain resort experience extends the evening. On Christmas Eve there will be a Vigil Mass and the annual Midnight Mass at 11.30pm, while on Christmas Day there will be Christmas Mass at both 10.30am and 3.30pm. The well known choir joins forces with the Philharmonia Orchestra. The Philharmonia Orchestra joins forces with the world-renowned Choir of King's College, Cambridge, at the Royal Festival Hall for a seasonal celebration, performing a selection of Christmas carols. Enjoy an evening of festive classics performed by the famous voices of the chapel choristers and the Crouch End Festival Chorus who also sing with Andrea Bocelli at The O2 Arena and at the Royal Albert Hall this winter. The festivities continue at Royal Festival Hall with 'Grand Christmas Classics', presented by Matt Baker, the following evening and 'Christmas at the Movies' on Sunday 16th December - an afternoon concert of favourite festive film scores. Matt Baker presents traditional songs featuring the Fanfare Trumpeters of the Band of the Coldstream Guards. Countryfile co-host and TV favourite Matt Baker presents Grand Christmas Classics at the Royal Festival Hall promising a programme of joyous traditional music and readings perfectly capturing the true spirit of Christmas. Featuring the prestigious Fanfare Trumpeters of the Band of the Coldstream Guards, pieces performed will include Adam - 'O Holy Night', In the bleak midwinter, Silent Night and Leroy Anderson's jingle-bell classic, Sleigh Ride. Tchaikovsky's Nutcracker Suite and The Twelve Days of Christmas are also on the bill, together with carols for all to join in. The festive season at Royal Festival Hall also brings Christmas with King's College Choir and 'Christmas at the Movies' on Sunday 16th December - an afternoon concert of favourite festive film scores. Traditional gospel and festive songs by the award winning IDMC Gospel Choir. Everyone is welcome to this special concert where you'll be serenaded with traditional gospel and festive songs by the award winning IDMC Gospel Choir. Taking place over two nights in the atmospheric and candlelit St Paul's Church, affectionately known as The Actors' Church, it's the perfect way to get you ready for Christmas. You'll be greeted with complementary mulled wine and a mince pies on arrival before a soulful and energetic by the choir who shared the stage with Stevie Wonder, helping to raise Â£25 million. Theyve also supported Matt Goss at this year's BBC Proms in the Park, and previously supported Jason Mraz and Michael Buble on tour. The concert, held in aid of Feed the Minds, sold out last year so booking in advance is strongly advised. Compere Greg Beardsell will lead you through mass sing-alongs. Held in the two days before Christmas, the Royal Albert Hall's Christmas carols programme is a fun-filled jamboree of carols and Christmas hits where you can sing along to festive favourites in spectacular surroundings. Join the Royal Choral Society, National Youth Choir of Great Britain, Royal Philharmonic Orchestra and the fanfare team of Her Majesty's Coldstream Guards for traditional carols, modern arrangements, and festive favourites. Compere Greg Beardsell will lead you through mass sing-alongs to your favourite carols and this year there's a brand-new version of Silent Night penned by James Bond film composer David Arnold. From cheap budget hotels to luxury 5 star suites see our discounts for hotels, including Club Quarters Gracechurch from 49% off.